Home » Family Life » Christmas Pie – Yum! 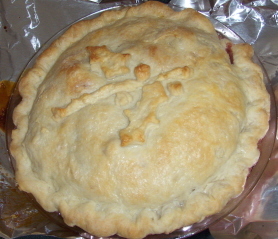 This pie is an apple pie with cranberry and ginger in the mix. It isn't as sweet as your typical pie, leaning more towards a spiced wine taste but it sure tasted great on Christmas morning.